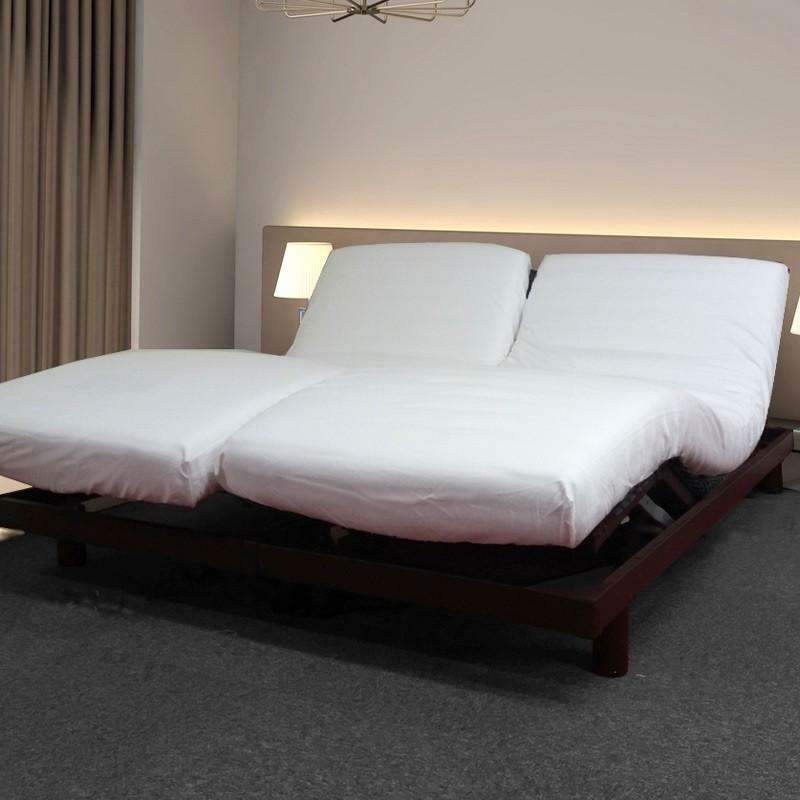 Cotton cover sheet 2X70X200 cm adjustable head for electric bed.The cotton sheet 2X70X200 cm with 57 threads / cm² is available for thick mattresses up to 40 cm. Your fitted sheet for articulated bed will be perfectly suited to your electric bed, you can even choose the thickness of your mattress.Choose from a range of 20 colors made from a soft, durable cotton fabric.Vosgia has been satifsying customers for more than 30 years. firmly establishing itself as one of the leaders of the textile industry in France. You can also find percale sheets 80 threads/cm² or sateen sheets 110 threads/cm². fitted sheet for articulated bed / quality finish / made in France / Shipping within 48H.